Retired. Displayed at Kennedy Space Center Visitor Complex in Florida. Space Shuttle Atlantis (Orbiter Vehicle Designation: OV‑104) is a Space Shuttle orbiter vehicle belonging to the National Aeronautics and Space Administration (NASA), the spaceflight and space exploration agency of the United States. Constructed by the Rockwell International company in Southern California and delivered to the Kennedy Space Center in Eastern Florida in April 1985, Atlantis is the fourth operational and the second-to-last Space Shuttle built. Its maiden flight was STS-51-J from 3 to 7 October 1985. Atlantis embarked on its 33rd and final mission, also the final mission of a space shuttle, STS-135, on 8 July 2011. 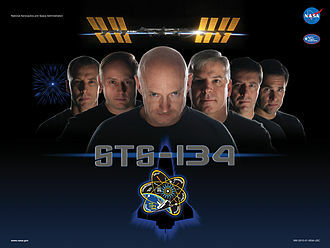 STS-134 by Endeavour was expected to be the final flight before STS-135 was authorized in October 2010. STS-135 took advantage of the processing for the STS-335 Launch On Need mission that would have been necessary if STS-134's crew became stranded in orbit. Atlantis landed for the final time at the Kennedy Space Center on 21 July 2011. By the end of its final mission, Atlantis had orbited the Earth a total of 4,848 times, traveling nearly 126,000,000 mi (203,000,000 km) or more than 525 times the distance from the Earth to the Moon. Atlantis is named after RV Atlantis, a two-masted sailing ship that operated as the primary research vessel for the Woods Hole Oceanographic Institution from 1930 to 1966. 29 January 1979 Contract Award to Rockwell International's Space Transportation Systems Division. 30 March 1980 Start structural assembly of crew module. 23 November 1981 Start structural assembly of aft-fuselage. 13 June 1983 Wings arrive at Palmdale, California, from Grumman. 2 December 1983 Start of final assembly. 10 April 1984 Final assembly completed. 6 March 1985 Rollout from Palmdale. 3 April 1985 Overland transport from Palmdale to Edwards Air Force Base. 13 April 1985 Delivery to Kennedy Space Center. 12 September 1985 Flight Readiness Firing. 3 October 1985 First flight (STS-51-J). Atlantis was completed in about half the time it took to build Space Shuttle Columbia. When it rolled out of the Palmdale assembly plant, weighing 151,315 lb (68,635 kg), Atlantis was nearly 3.5 short tons (3.2 t) lighter than Columbia. Atlantis is the lightest shuttle of the remaining fleet, weighing 20,685 pounds less than the Space Shuttle Endeavour (with the three main engines). Atlantis docked to the International Space Station during STS-132 mission. Space Shuttle Atlantis lifted off on its maiden voyage on 3 October 1985, on mission STS-51-J, the second dedicated Department of Defense flight. It flew one other mission, STS-61-B, the second night launch in the shuttle program, before the Space Shuttle Challenger disaster temporarily grounded the Shuttle fleet in 1986. Among the five Space Shuttles flown into space, Atlantis conducted a subsequent mission in the shortest time after the previous mission (turnaround time) when it launched in November 1985 on STS-61-B, only 50 days after its previous mission, STS-51-J in October 1985. Atlantis was then used for ten flights between 1988 and 1992. Two of these, both flown in 1989, deployed the planetary probes Magellan to Venus (on STS-30) and Galileo to Jupiter (on STS-34). With STS-30 Atlantis became the first shuttle to launch an interplanetary probe. During another mission, STS-37 flown in 1991, Atlantis deployed the Compton Gamma Ray Observatory. Beginning in 1995 with STS-71, Atlantis made seven straight flights to the former Russian space station Mir as part of the Shuttle-Mir Program. STS-71 marked a number of firsts in human spaceflight: 100th U.S. manned space flight; first U.S. Shuttle-Russian Space Station Mir docking and joint on-orbit operations; and first on-orbit changeout of shuttle crew. When linked, Atlantis and Mir together formed the largest spacecraft in orbit at the time. Atlantis heads toward Earth orbit at the beginning of STS-132. 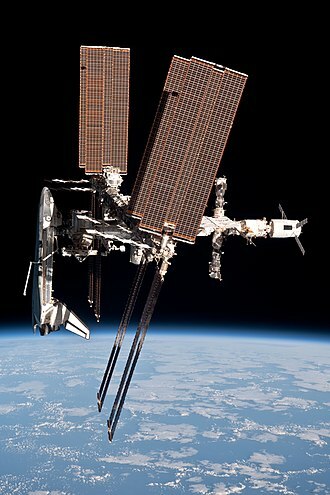 Shuttle Atlantis also delivered several vital components for the construction of the International Space Station (ISS). During the February 2001 mission STS-98 to the ISS, Atlantis delivered the Destiny Module, the primary operating facility for U.S. research payloads aboard the ISS. The five hour 25 minute third spacewalk performed by astronauts Robert Curbeam and Thomas Jones during STS-98 marked NASA's 100th extra vehicular activity in space. The Quest Joint Airlock, was flown and installed to the ISS by Atlantis during the mission STS-104 in July 2001. The successful installation of the airlock gave on-board space station crews the ability to stage repair and maintenance spacewalks outside the ISS using U.S. EMU or Russian Orlan space suits. The first mission flown by Atlantis after the Space Shuttle Columbia disaster was STS-115, conducted during September 2006. The mission carried the P3/P4 truss segments and solar arrays to the ISS. On ISS assembly flight STS-122 in February 2008, Atlantis delivered the Columbus laboratory to the ISS. Columbus laboratory is the largest single contribution to the ISS made by the European Space Agency (ESA). STS-132 Space Shuttle Launch video. Space Shuttle Atlantis docked to the ISS for the final time. In May 2009 Atlantis flew a seven-member crew to the Hubble Space Telescope for its Servicing Mission 4, STS-125. The mission was a success, with the crew completing five spacewalks totalling 37 hours to install new cameras, batteries, a gyroscope and other components to the telescope. This was the final mission not to the ISS. The longest mission flown using Atlantis was STS-117 which lasted almost 14 days in June 2007. During STS-117, Atlantis' crew added a new starboard truss segment and solar array pair (the S3/S4 truss), folded the P6 array in preparation for its relocation and performed four spacewalks. Atlantis was not equipped to take advantage of the Station-to-Shuttle Power Transfer System so missions could not be extended by making use of power provided by ISS. During the STS-129 post-flight interview on 16 November 2009, shuttle launch director Mike Leinbach said that Atlantis officially beat Space Shuttle Discovery for the record low amount of Interim Problem Reports, with a total of just 54 listed since returning from STS-125. He continued to add "It is due to the team and the hardware processing. They just did a great job. 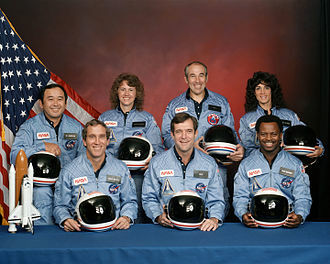 The record will probably never be broken again in the history of the Space Shuttle Program, so congratulations to them". During the STS-132 post-launch interview on 14 May 2010, Shuttle launch director Mike Leinbach said that Atlantis beat its own previous record low amount of Interim Problem Reports, with a total of 46 listed between STS-129 and STS-132. Atlantis went through two overhauls of scheduled Orbiter Maintenance Down Periods (OMDPs) during its operational history. Atlantis arrived at Palmdale, California in October 1992 for OMDP-1. During that visit 165 modifications were made over the next 20 months. These included the installation of a drag chute, new plumbing lines to configure the orbiter for extended duration, improved nose wheel steering, more than 800 new heat tiles and blankets and new insulation for main landing gear and structural modifications to the airframe. On 5 November 1997, Atlantis again arrived at Palmdale for OMDP-2 which was completed on 24 September 1998. The 130 modifications carried out during OMDP-2 included glass cockpit displays, replacement of TACAN navigation with GPS and ISS airlock and docking installation. Several weight reduction modifications were also performed on the orbiter including replacement of Advanced Flexible Reusable Surface Insulation (AFRSI) insulation blankets on upper surfaces with FRSI. Lightweight crew seats were installed and the Extended Duration Orbiter (EDO) package installed on OMDP-1 was removed to lighten Atlantis to better serve its prime mission of servicing the ISS. During the stand down period post Columbia accident, Atlantis went through over 75 modifications to the orbiter ranging from very minor bolt change-outs to window change-outs and different fluid systems. Atlantis was known among the shuttle workforce as being more prone than the others in the fleet to problems that needed to be addressed while readying the vehicle for launch leading to some nicknaming it "Britney". NASA administrator Charlie Bolden announces that Atlantis will remain at the Kennedy Space Center Visitor Complex on permanent exhibition. NASA initially planned to withdraw Atlantis from service in 2008, as the orbiter would have been due to undergo its third scheduled OMDP. However, because of the timescale of the final retirement of the shuttle fleet, this was deemed uneconomical. It was planned that Atlantis would be kept in near-flight condition to be used as a spares source for Discovery and Endeavour. However, with the significant planned flight schedule up to 2010, the decision was taken to extend the time between OMDPs, allowing Atlantis to be retained for operations. Atlantis was subsequently swapped for one flight of each Discovery and Endeavour in the flight manifest. Atlantis had completed what was meant to be its last flight, STS-132, prior to the end of the shuttle program, but the extension of the Shuttle program into 2011 led to Atlantis being selected for STS-135, the final Space Shuttle mission in July 2011. Atlantis display at the Kennedy Space Center Visitor Complex on 10 June 2013. Atlantis is currently displayed at the Kennedy Space Center Visitor Complex. NASA Administrator Charles Bolden announced the decision at an employee event held on 12 April 2011 to commemorate the 30th anniversary of the first shuttle flight: "First, here at the Kennedy Space Center where every shuttle mission and so many other historic human space flights have originated, we'll showcase my old friend, Atlantis." The Visitor Complex displays Atlantis with payload bay doors opened mounted at an angle to give the appearance of being in orbit around the Earth. The 43.21 degree mount angle also pays tribute to the countdown that preceded every shuttle launch at KSC. A multi-story digital projection of Earth rotates behind the orbiter in a 64,000-square-foot (5,900 m2) indoor facility. Ground breaking of the facility occurred in 2012. The exhibit opened on 29 June 2013. Crewmembers for the final Hubble Servicing Mission, STS-125 pose for a photo on the flight deck of Atlantis. A total of 156 individuals flew with Space Shuttle Atlantis over the course of its 33 missions. Because the shuttle sometimes flew crew members arriving and departing Mir and the ISS, not all of them launched and landed on Atlantis. Astronaut Clayton Anderson, ESA astronaut Leopold Eyharts and Russian cosmonauts Nikolai Budarin and Anatoly Solovyev only launched on Atlantis. Similarly, astronauts Daniel Tani and Sunita Williams, as well as cosmonauts Vladimir Dezhurov and Gennady Strekalov only landed with Atlantis. Only 146 men and women both launched and landed aboard Atlantis. Some of those people flew with Atlantis more than once. Taking them into account, 203 total seats were filled over Atlantis' 33 missions. 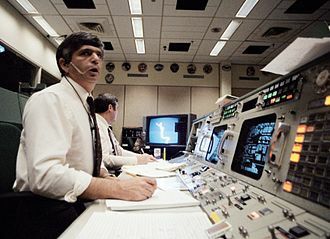 Astronaut Jerry Ross holds the record for the most flights aboard Atlantis at five. Astronaut Rodolfo Neri Vela who flew aboard Atlantis on STS-61-B mission in 1985 became the first and so far only Mexican to have traveled to space. ESA astronaut Dirk Frimout who flew on STS-45 as a payload specialist was the first Belgian in space. STS-46 mission specialist Claude Nicollier was the first astronaut from Switzerland. On the same flight, astronaut Franco Malerba became the first citizen of Italy to travel to space. Astronaut Michael Massimino who flew on STS-125 mission became the first person to use Twitter in space in May 2009. Having flown aboard Atlantis as part of the STS-132 crew in May 2010 and Discovery as part of the STS-133 crew in February/March 2011, Stephen Bowen became the first NASA astronaut to be launched on consecutive missions. 1 3 October 1985 STS-51-J 39A Edwards AFB 4 days, 1 hour, 44 minutes, 38 seconds 1,682,641 miles (2,707,948 km) First Atlantis mission; mission dedicated to Department of Defense. Deployed two DSCS-III (Defense Satellite Communications System) satellites into stationary orbit. 3 2 December 1988 STS-27 39B Edwards AFB 4 days, 9 hours, 5 minutes, 37 seconds 1,812,075 miles (2,916,252 km) Mission dedicated to Department of Defense. Deployed the Lacrosse 1 satellite, for the US National Reconnaissance Office (NRO) and the Central Intelligence Agency (CIA). 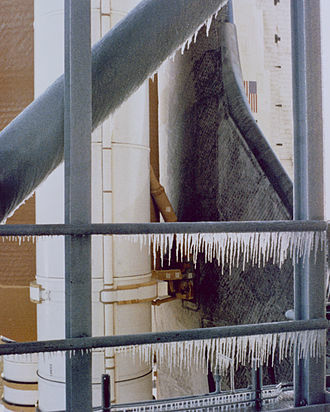 Atlantis' Thermal Protection System tiles sustained unusually severe damage during the flight; over 700 damaged tiles were noted, and one tile was missing. 4 4 May 1989 STS-30 39B Edwards AFB 4 days, 0 hours, 56 minutes, 28 seconds 1,477,500 miles (2,377,800 km) Deployed the Magellan probe bound for Venus. 5 18 October 1989 STS-34 39B Edwards AFB 4 days, 23 hours, 39 minutes, 20 seconds 1,800,000 miles (2,900,000 km) Deployed the Galileo probe bound for Jupiter. 6 28 February 1990 STS-36 39A Edwards AFB 4 days, 10 hours, 18 minutes, 22 seconds 1,837,962 miles (2,957,913 km) Mission dedicated to Department of Defense. STS-36 deployed a single satellite believed to have been a Misty reconnaissance satellite. 7 15 November 1990 STS-38 39A KSC 4 days, 21 hours, 54 minutes, 31 seconds 2,045,056 miles (3,291,199 km) Mission dedicated to Department of Defense. Deployed USA-67 believed to have been a secret Magnum ELINT (ELectronic INTtelligence) gathering satellite. 8 5 April 1991 STS-37 39B Edwards AFB 5 days, 23 hours, 32 minutes, 44 seconds 2,487,075 miles (4,002,559 km) Deployed Compton Gamma Ray Observatory (GRO), the second of the Great Observatories program after the first successful unscheduled EVA in the Shuttle program to deploy GRO's data antenna. 9 2 August 1991 STS-43 39A KSC 8 days, 21 hours, 21 minutes, 25 seconds 3,700,400 miles (5,955,200 km) Deployed Tracking and Data Relay Satellite-5 (TDRS-5 or TDRS-E). 10 24 November 1991 STS-44 39A Edwards AFB 6 days, 22 hours, 50 minutes, 44 seconds 2,890,067 miles (4,651,112 km) Mission dedicated to Department of Defense. The unclassified payload included a Defense Support Program (DSP) satellite deployed on flight day one. 11 24 March 1992 STS-45 39A KSC 8 days, 22 hours, 9 minutes 28 seconds 3,274,946 miles (5,270,515 km) Carried first Atmospheric Laboratory for Applications and Science (ATLAS-1). ATLAS-1 equipped with 12 instruments conducted studies in atmospheric chemistry, solar radiation, space plasma physics and ultraviolet astronomy. 12 31 July 1992 STS-46 39A KSC 7 days, 23 hours, 15 minutes, 3 seconds 3,321,007 miles (5,344,643 km) Deployed the Tethered Satellite System (TSS), a joint NASA/Italian Space Agency experiment. The satellite only reached a maximum of 860 feet (260 m) instead of 12.5 miles (20.1 km), because of a jammed tether line. The European Retrievable Carrier (EURECA) satellite was deployed for the European Space Agency (ESA). 13 3 November 1994 STS-66 39B Edwards AFB 10 days, 22 hours, 34 minutes, 2 seconds 4,554,791 miles (7,330,226 km) Carried Atmospheric Laboratory for Applications and Sciences – 3 (ATLAS-03) to study the energy of the sun and how it affects the Earth's climate and environment. In addition, STS-66 included deployment and retrieval of the Cryogenic Infrared Spectrometer Telescope for Atmosphere (CRISTA) to explore the variability of the atmosphere and provide measurements. 14 29 June 1995 STS-71 39A KSC 9 days, 19 hours, 22 minutes, 17 seconds 4,100,000 miles (6,600,000 km) First Shuttle docking with space station Mir. 100th U.S manned space flight. Atlantis transported two cosmonauts Anatoly Solovyev and Nikolai Budarin to Mir and returned astronaut Norman Thagard and cosmonauts Vladimir Dezhurov and Gennady Strekalov. The joint U.S-Russian crew performed life sciences investigations aboard SPACELAB/Mir. 15 12 November 1995 STS-74 39A KSC 8 days, 4 hours, 31 minutes, 42 seconds 3,400,000 miles (5,500,000 km) Carried docking module to Mir and docked to the Kristall module. During the three days of combined shuttle-Mir operations, Atlantis's crew transferred water, supplies, equipment and two new solar arrays to upgrade Mir. 16 22 March 1996 STS-76 39B Edwards AFB 9 days, 5 hours, 16 minutes, 48 seconds 3,800,000 miles (6,100,000 km) Rendezvous with Mir, including crew transfer of Shannon Lucid. STS-76 marked first flight of SPACEHAB pressurized module to support Shuttle-Mir dockings. Spacewalkers Linda Godwin and Michael Clifford conducted the first U.S. extravehicular activity (EVA) around the two mated spacecraft. 17 16 September 1996 STS-79 39A KSC 10 days, 3 hours, 19 minutes, 28 seconds 3,900,000 miles (6,300,000 km) Rendezvous with Mir, including crew transfer of Shannon Lucid and John Blaha. First shuttle mission to the fully completed Mir in its final configuration. STS-79 also marked second flight of SPACEHAB module in support of Shuttle-Mir activities and first flight of SPACEHAB Double Module configuration. 18 12 January 1997 STS-81 39B KSC 10 days, 4 hours, 56 minutes, 30 seconds 3,900,000 miles (6,300,000 km) Rendezvous with Mir, including crew transfer of John Blaha and Jerry Linenger. Carried the SPACEHAB double module and during five days of docked operations with Mir, the crews transferred water and supplies. 19 15 May 1997 STS-84 39A KSC 9 days, 5 hours, 20 minutes, 47 seconds 3,600,000 miles (5,800,000 km) Rendezvous with Mir, including crew transfer of Jerry Linenger and Michael Foale. Carried the SPACEHAB double module. 20 25 September 1997 STS-86 39A KSC 10 days, 19 hours, 22 minutes, 12 seconds 4,225,000 miles (6,799,000 km) Rendezvous with Mir, including crew transfer of Michael Foale and David A. Wolf. Highlights of STS-86 included five days of docked operations and the first joint U.S.-Russian spacewalk during a shuttle mission conducted by cosmonaut Vladimir Titov and astronaut Scott Parazynski. 21 19 May 2000 STS-101 39A KSC 9 days, 21 hours, 10 minutes, 10 seconds 5,076,281 miles (8,169,482 km) International Space Station resupply mission with supplies carried up using a SPACEHAB double module and SPACEHAB Integrated Cargo Carrier pallet. Astronauts James Voss and Jeffrey Williams performed a spacewalk and Atlantis also reboosted the ISS. 22 8 September 2000 STS-106 39B KSC 11 days, 19 hours, 12 minutes, 15 seconds 4,919,243 miles (7,916,754 km) International Space Station resupply mission. STS-106 utilized the SPACEHAB Double Module and the Integrated Cargo Carrier (ICC) to bring supplies to the ISS. The mission also included two spacewalks. 23 7 February 2001 STS-98 39A Edwards AFB 12 days, 21 hours, 21 minutes 5,369,576 miles (8,641,495 km) International Space Station assembly mission (carried and assembled the Destiny Laboratory Module). Three spacewalks including the 100th in the U.S. manned spaceflight program were conducted to complete its assembly. 24 12 July 2001 STS-104 39B KSC 12 days, 18 hours, 36 minutes, 39 seconds 5,309,429 miles (8,544,698 km) International Space Station assembly mission (carried and assembled the Quest Joint Airlock). Astronauts Michael Gernhardt and James Reilly conducted three space walks while Atlantis was docked to the ISS. STS-104 was the first shuttle mission to fly with a "Block II" SSME. 25 8 April 2002 STS-110 39B KSC 10 days, 19 hours, 43 minutes, 48 seconds 4,525,299 miles (7,282,763 km) International Space Station assembly mission (carried and assembled the S0 truss segment) which forms the backbone of the truss structure on the ISS. STS-110 also delivered the Mobile Transporter (MT). Four spacewalks were also conducted in support of ISS construction. 26 7 October 2002 STS-112 39B KSC 10 days, 19 hours, 58 minutes, 44 seconds 4,513,015 miles (7,262,994 km) International Space Station assembly mission (carried and assembled the S1 truss segment). Atlantis also delivered the Crew Equipment Translation Aid (CETA). Astronauts David Wolf and Piers Sellers conducted three spacewalks. A camera mounted to the shuttle's external tank captured the ascent to orbit. This was the first time such footage was recorded. 27 9 September 2006 STS-115 39B KSC 11 days, 19 hours, 6 minutes, 35 seconds 4,910,288 miles (7,902,343 km) International Space Station resupply and construction (P3 and P4 truss segments, solar arrays 2A and 4A and batteries). STS-115 was the first assembly mission to the ISS after the Columbia disaster. 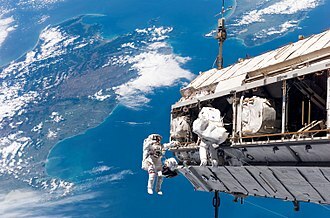 A total of three spacewalks were performed, during which the crew connected the systems on the installed trusses, prepared them for deployment and did other maintenance work on the ISS. 28 8 June 2007 STS-117 39A Edwards AFB 13 days, 20 hours, 12 minutes, 44 seconds 5,809,363 miles (9,349,263 km) International Space Station resupply and construction (S3 and S4 truss and a set of solar arrays segments) The launch of STS-117 marked the 250th orbital human spaceflight. 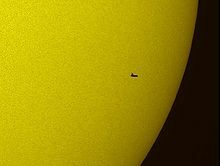 STS-117 brought Expedition 15 crewmember Clayton Anderson to the ISS, and returned with Sunita Williams. 29 7 February 2008 STS-122 39A KSC 12 days, 18 hours, 21 minutes, 50 seconds 5,296,842 miles (8,524,441 km) International Space Station construction (Columbus laboratory). STS-122 carried ESA astronaut Léopold Eyharts, a French Flight Engineer representing ESA to the ISS and returned Expedition 16 Flight Engineer Daniel M. Tani to Earth. Three spacewalks were performed by mission specialists Rex Walheim and Stanley Love. 30 11 May 2009 STS-125 39A Edwards AFB 12 days, 21 hours, 37 minutes, 9 seconds 5,276,000 miles (8,491,000 km) Final Hubble Space Telescope Servicing Mission 4. Atlantis carried two new instruments to the Hubble Space Telescope, the Cosmic Origins Spectrograph and the Wide Field Camera 3. The mission also replaced a Fine Guidance Sensor, six gyroscopes, and two battery unit modules. The mission included five spacewalks totaling 37 hours. STS-125 carried an IMAX camera to document the progress of the mission. 31 16 November 2009 STS-129 39A KSC 10 days, 19 hours, 16 minutes, 13 seconds 4,490,138 miles (7,226,177 km) International Space Station resupply and construction (ELC-1/ELC-2). STS-129 was the first flight of an ExPRESS Logistics Carrier and focused on staging spare components outside the space station. The mission included three spacewalks. 32 14 May 2010 STS-132 39A KSC 11 days, 18 hours, 29 minutes, 09 seconds 4,879,978 miles (7,853,563 km) International Space Station construction (Mini-Research Module 1 and the cargo pallet, Integrated Cargo Carrier-Vertical Light Deployable (ICC-VLD)). The mission included three spacewalks. 33 8 July 2011 STS-135 39A KSC 12 days, 18 hours, 28 minutes, 50 seconds 5,284,862 miles (8,505,161 km) International Space Station resupply using the Raffaello Multi-Purpose Logistics Module and the Lightweight Multi-Purpose Carrier (LMC). The failed ammonia pump module that was replaced in August 2010 returned inside Atlantis' payload bay. This was the final mission of Space Shuttle Atlantis and the last mission for the Space Shuttle Program. STS-135 flew with a crew of four astronauts; the reduced crew size allowed for rescue by regularly scheduled Soyuz missions if necessary. 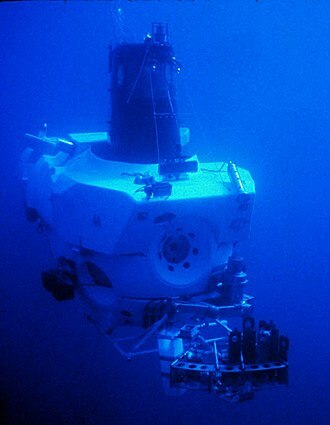 NASA announced in 2007 that 24 helium and nitrogen gas tanks in Atlantis were older than their designed lifetime. These composite overwrapped pressure vessels (COPV) were designed for a 10-year life and later cleared for an additional 10 years; they exceeded this life in 2005. NASA said it could not guarantee any longer that the vessels on Atlantis would not burst or explode under full pressure. Failure of these tanks could have damaged parts of the orbiter and even wound or kill ground personnel. An in-flight failure of a pressure vessel could have even resulted in the loss of the orbiter and its crew. 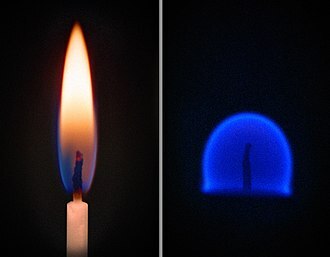 NASA analyses originally assumed that the vessels would leak before they burst, but new tests showed that they could in fact burst before leaking. Because the original vendor was no longer in business, and a new manufacturer could not be qualified before 2010, when the shuttles were scheduled to be retired, NASA decided to continue operations with the existing tanks. Therefore, to reduce the risk of failure and the cumulative effects of load, the vessels were maintained at 80 percent of the operating pressure as late in the launch countdown as possible, and the launch pad was cleared of all but essential personnel when pressure was increased to 100 percent. The new launch procedure was employed during some of the remaining launches of Atlantis, but was resolved when the two COPVs deemed to have the highest risk of failure were replaced. After the STS-125 mission, a work light knob was discovered jammed in the space between one of Atlantis's front interior windows and the Orbiter dashboard structure. The knob was believed to have entered the space during flight, when the pressurized Orbiter was expanded to its maximum size. Then, once back on Earth, the Orbiter contracted, jamming the knob in place. Leaving "as-is" was considered unsafe for flight, and some options for removal (including window replacement) would have included a 6-month delay of Atlantis's next mission (planned to be STS-129). Had the removal of the knob been unsuccessful, the worst-case scenario was that Atlantis could have been retired from the fleet, leaving Discovery and Endeavour to complete the manifest alone. On 29 June 2009, Atlantis was pressurized to 17 psi (120 kPa) (3 psi above ambient), which forced the Orbiter to expand slightly. The knob was then frozen with dry ice, and successfully removed. Small areas of damage to the window were discovered where the edges of the knob had been embedded into the pane. Subsequent investigation of the window damage discovered a maximum defect depth of approximately 0.0003 in (7.6 μm), less than the reportable depth threshold of 0.0015 in (38 μm) and not serious enough to warrant the pane's replacement. Liftoff of first flight of Atlantis and the STS-51-J mission. Deployment of the Magellan space probe to Venus on STS-30. Underside view of Atlantis during STS-117 as it approached the International Space Station and performed a Rendezvous Pitch Maneuver. Atlantis landing at the Kennedy Space Center following STS-122. Atlantis carrying the S1 Truss segment on mission STS-112. Atlantis and its STS-125 crew head toward Earth orbit and rendezvous with the Hubble Space Telescope. Space Shuttle Atlantis after it undocked from the International Space Station on 17 September 2006. The Space Shuttle Atlantis landing in 1997, at the end of STS-86. Atlantis is shown in the 1986 film SpaceCamp. The premise of the film involves a crew of students at United States Space Camp that are accidentally launched into space on-board Atlantis. Atlantis is featured in the 1998 film Deep Impact as the spacecraft used to shuttle the crew to the fictional Messiah spacecraft. Atlantis is also featured in another 1998 science-fiction movie, Armageddon, in which the Shuttle is destroyed in a meteor shower at the beginning of the movie. This destruction of Atlantis means that the movie's plan: to destroy an asteroid before it can hit the Earth, makes use of the fictional X-71; a joint project by NASA and the US Air Force, which is modeled on the real-life orbiters. Two of these fictional orbiters are part of the film: Independence, which is destroyed in a crash landing on the asteroid, and Freedom, which survives and brings the surviving members of the team back to Earth. It is involved as well in The Dig, a 1995 point and click adventure game. In September 2014 Soulvizion and Division CM presented music video based on single "Lost Frequencies - Are You With Me", where main hero is astronaut of the Space Shuttle. For this video used launch footage of STS-135, historical photos from NASA and 3D animation prepared in Blender. ^ Chris Gebhardt (31 December 2011). 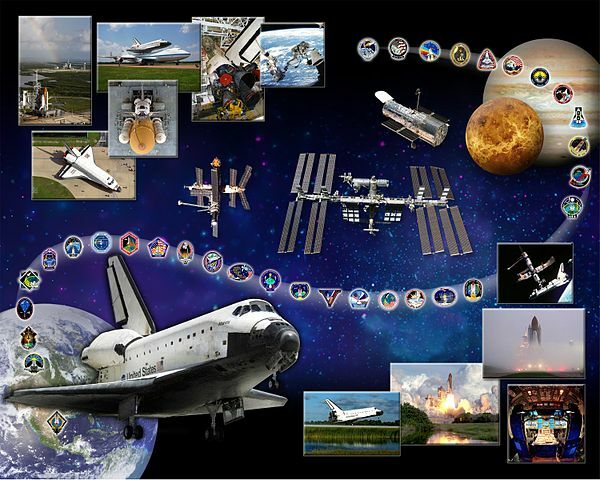 "Year in Review – Part 4: Saying Goodbye to Discovery, Atlantis, and Endeavour". www.spaceflight.com. Retrieved 1 January 2012. 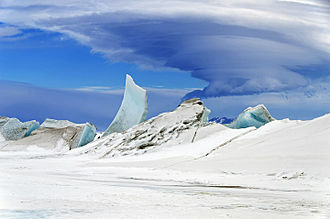 ^ NASA (2007). "Space Shuttle Overview: Atlantis (OV-104)". National Aeronautics and Space Administration. Retrieved 6 November 2007. ^ Justin Ray (11 May 2010). "Respecting Atlantis as the shuttle faces retirement". Spaceflight Now. Retrieved 13 May 2010. ^ Peter W. Merlin (20 May 2010). "Space Shuttle Atlantis Wraps Up 25-year Career". NASA. Retrieved 25 July 2010. ^ Svitak, Amy (19 November 2010). "Bolden Says Extra Shuttle Flight Needed As Hedge Against Additional COTS Delays". Space News International. Archived from the original on 23 May 2012. Retrieved 16 March 2011. ^ "Space Shuttle Atlantis Orbitor Fleet". Retrieved 23 September 2008. ^ "Atlantis (OV‑103)". Retrieved 17 February 2012. ^ "Space shuttle Atlantis moves to launch pad for final planned flight". Collect SPACE. 22 April 2010. Retrieved 25 July 2010. ^ Karen Rowan (12 May 2010). "7 Cool Things You Didn't Know About Space Shuttle Atlantis". SPACE.com. Retrieved 13 May 2010. ^ NASA. "STS-71". Retrieved 25 July 2010. ^ Todd Halvorson. "Destiny Fulfilled: Atlantis Ends Mission With Safe Touchdown". SPACE.com. Archived from the original on 23 May 2009. Retrieved 25 July 2010. ^ Todd Halvorson (14 February 2010). "Astronauts Cap 100th Spacewalk With Successful Disaster Drill". SPACE.com. Retrieved 25 July 2010. ^ William Harwood (15 July 2001). "Airlock marks milestone in quest to assemble Alpha". Spaceflight Now. Retrieved 25 July 2010. ^ NASA (28 September 2006). "STS-115: A Mission to Build On". Retrieved 25 July 2010. ^ Dave Mosher (7 February 2008). "Europeans Celebrate Successful Launch of Science Lab". SPACE.com. Retrieved 25 July 2010. ^ European Space Agency. 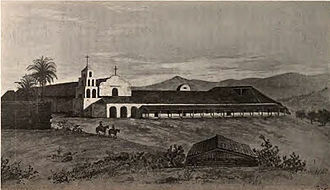 "Columbus laboratory". Retrieved 25 July 2010. ^ NASA (29 May 2009). "Mission Accomplished: Leaving Hubble Better Than Ever". Retrieved 25 July 2010. ^ NASA (22 June 2007). "STS-117 MCC Status Report #30". Retrieved 25 July 2010. ^ "Preflight Interview: Stan Love, Mission Specialist". NASA. 19 November 2007. ^ "Atlantis (OV-104)". NASA. 10 October 2009. Archived from the original on 25 August 2011. ^ "Advanced Flexible Reusable Surface Insulation Blankets". NASA.gov. 10 October 2009. ^ NASA (22 August 2006). "Mike Leinbach, STS-115 Launch Director". Retrieved 25 July 2010. ^ "STS-135: Engineers retest MFV – ET-138 stringer inspections completed – NASASpaceFlight.com". www.nasaspaceflight.com. ^ Bergin, Chris (23 June 2007). "Atlantis avoids early retirement – will keep flying to 2010". NASASpaceflight.com. ^ "NYC, L.A., Kennedy Space Center, Smithsonian to get the 4 retired space shuttles". USA Today. 12 April 2011. ^ William Harwood (12 April 2011). "Space shuttle retirement museums announced". Spaceflight NOW. Retrieved 13 April 2011. ^ Matthew Travis (12 April 2011). "Homes of Retired Space Shuttle Orbiters Announcement by NASA Admin Charlie Bolden". SpaceflightNews.net. Retrieved 23 June 2011. ^ Robert Z. Pearlman. "Angling Atlantis: Space shuttle raised and tilted for public display". Collect Space. ^ Robert Z. Pearlman (12 April 2011). "NASA Gives Space Shuttles to Smithsonian and Museums in Calif., Florida and NYC". CollectSPACE.com. Retrieved 13 April 2011. ^ NASA (12 April 2011). "NASA to Enhance Shuttle Story at Kennedy with Atlantis". Retrieved 13 April 2011. ^ "There's No Space Like Home. Welcome Home, Atlantis!". Archived from the original on 14 April 2011. Retrieved 14 April 2010. ^ "Space shuttle Atlantis exhibit opens June 29". CFN13. Archived from the original on 23 February 2013. Retrieved 21 February 2013. ^ a b "The legacy of space shuttle Atlantis". CollectSPACE. 2 June 2010. Retrieved 4 June 2010. ^ Petrescu, Florian Ion (2011). Near the Flying Time. Lulu.com. ISBN 9781447752813. ^ "NASA'S Shuttle Discovery Heads To Space Station On Its Final Mission". NASA. 24 February 2011. Retrieved 10 March 2011. ^ NASA (May 2010). "Space Shuttle Mission STS-132 Press Kit" (PDF). ^ Day, Dwayne (4 January 2010). "A lighter shade of black: the (non) mystery of STS-51J". The Space Review. Retrieved 21 July 2011. ^ William Harwood (27 March 2009). "Legendary commander tells story of shuttle's close call". Spaceflight Now. Retrieved 25 July 2010. .
^ G. D. Hopson (28 June 2001). "Atlantis STS 104 Space Shuttle Program SSME Flight Readiness Review" (PDF). Retrieved 25 July 2010. ^ Stephen Clark (12 September 2002). "Sneak peek at 'shuttlecam'". Spaceflight Now. Retrieved 25 July 2010. ^ NASA. "STS 112 Daily Videos: Flight Day 1". Retrieved 25 July 2010. ^ Harwood, William (2007). "STS-117 Mission Coverage". CBS News. Spaceflightnow.com. Retrieved 7 December 2007. ^ "STS-117 marks 250th orbital crewed flight". collectSPACE. ^ Elaine M. Marconi (4 December 2009). "Mission STS-129: Delivering the Goods". NASA.gov. Retrieved 25 July 2010. ^ William Harwood (12 May 2010). "Mission preview: Atlantis to launch Russian mini module". Spaceflight Now. Retrieved 25 July 2010. ^ Bergin, Chris (20 August 2010). "NASA managers approve STS-135 mission planning for June 28, 2011 launch". NASASpaceflight.com. Retrieved 16 March 2011. ^ Halvorson, Todd; Kelly, John (2007). "Orbiters Feel Pains of Aging". 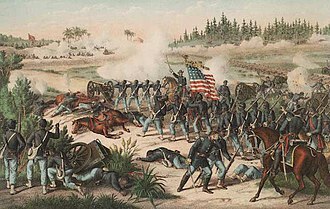 Florida Today. Space.com. Retrieved 6 November 2007. ^ Chris Gebhardt. "NASA Reviews COPV Reliability Concerns for Final Program Flights". NASASpaceflight.com. Retrieved 19 July 2010. ^ Bergin, Chris (2009). "Knob removed, Atlantis window inspection begins – longerons in cart accident". NASASpaceflight.com. Retrieved 30 June 2009. ^ Bergin, Chris (2009). 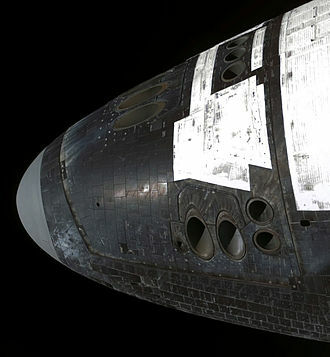 "Window damage on Atlantis threatens six month delay to STS-129". NASASpaceflight.com. Retrieved 25 June 2009. ^ Bergin, Chris (2009). "Endeavour heads into countdown – Atlantis window damage cleared". NASASpaceflight.com. Retrieved 31 July 2009. ^ Armada Music (2 September 2014). "Lost Frequencies - Are You With Me (Official Music Video)" – via YouTube. Wikimedia Commons has media related to Space Shuttle Atlantis. Atlantis photo essay From Boston.com. 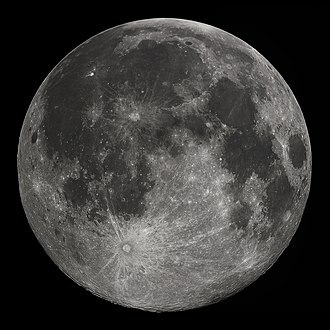 The Moon is an astronomical body that orbits planet Earth, being Earths only permanent natural satellite. It is the fifth-largest natural satellite in the Solar System, following Jupiters satellite Io, the Moon is second-densest satellite among those whose densities are known. 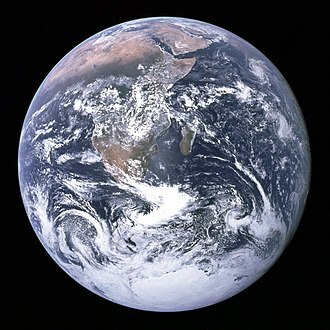 The average distance of the Moon from the Earth is 384,400 km, the Moon is thought to have formed about 4.51 billion years ago, not long after Earth. It is the second-brightest regularly visible celestial object in Earths sky, after the Sun and its surface is actually dark, although compared to the night sky it appears very bright, with a reflectance just slightly higher than that of worn asphalt. Its prominence in the sky and its cycle of phases have made the Moon an important cultural influence since ancient times on language, art. The Moons gravitational influence produces the ocean tides, body tides, and this matching of apparent visual size will not continue in the far future. The Moons linear distance from Earth is currently increasing at a rate of 3.82 ±0.07 centimetres per year, since the Apollo 17 mission in 1972, the Moon has been visited only by uncrewed spacecraft. The usual English proper name for Earths natural satellite is the Moon, the noun moon is derived from moone, which developed from mone, which is derived from Old English mōna, which ultimately stems from Proto-Germanic *mǣnōn, like all Germanic language cognates. Occasionally, the name Luna is used, in literature, especially science fiction, Luna is used to distinguish it from other moons, while in poetry, the name has been used to denote personification of our moon. 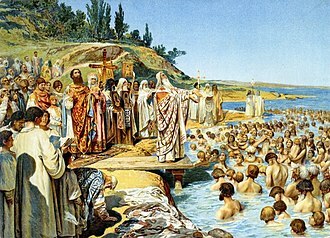 The principal modern English adjective pertaining to the Moon is lunar, a less common adjective is selenic, derived from the Ancient Greek Selene, from which is derived the prefix seleno-. Both the Greek Selene and the Roman goddess Diana were alternatively called Cynthia, the names Luna and Selene are reflected in terminology for lunar orbits in words such as apolune and selenocentric. The name Diana is connected to dies meaning day, several mechanisms have been proposed for the Moons formation 4.51 billion years ago, and some 60 million years after the origin of the Solar System. STS-122 was a NASA Space Shuttle mission to the International Space Station, flown by the Space Shuttle Atlantis. STS-122 marked the 24th shuttle mission to the ISS, and the 121st space shuttle flight overall, the mission was referred to as ISS-1E by the ISS program. The primary objective of STS-122 was to deliver the European Columbus science laboratory, built by the European Space Agency and it returned Expedition 16 Flight Engineer Daniel M. Tani to Earth. Tani was replaced on Expedition 16 by Léopold Eyharts, a French Flight Engineer representing ESA, after Atlantis landing, the orbiter was prepared for STS-125, the final servicing mission for the Hubble Space Telescope. The original target date for STS-122 was 6 December 2007, but due to engine cutoff sensor reading errors. During the second attempt, the sensors failed again. A tanking test on 18 December 2007 revealed the cause to lie with a connector between the external tank and the shuttle. The connector was replaced and the shuttle launched during the attempt on 7 February 2008. The mission marks, 152nd NASA manned spaceflight, 121st space shuttle flight since STS-1. 29th flight of Atlantis 96th post-Challenger mission, 8th visit to the International Space Station for Atlantis. The external tank arrived at the Kennedy Space Center on 14 September 2007, the external tank was attached to the solid rocket boosters on 18 October 2007, and Atlantis moved to the VAB on 3 November 2007. With the entire stack placed upon the Mobile Launcher Platform, Atlantis moved to launch pad 39A on 10 November 2007, the terminal countdown demonstration test was completed on 20 November 2007. Following the final Flight Readiness Review on 30 November 2007, NASA managers announced that Atlantis was ready to fly, the crew arrived at Kennedy Space Center on 3 December 2007, to prepare for the first launch attempt on 6 December 2007. The fuel cutoff sensor system is one of a series of redundant systems that protect the main engines. The Launch Commit Criteria require that three of the four sensor systems function properly prior to liftoff, the scheduled launch time was tentatively postponed 48 hours to 8 December 2007, at 15,43 EST. STS-71 was the third mission of the US/Russian Shuttle-Mir Program and the first Space Shuttle docking to Russian space station Mir. It started on 27 June 1995 with the launch of Space Shuttle Atlantis from launch pad 39A at the Kennedy Space Center in Florida, the shuttle delivered a relief crew of two cosmonauts Anatoly Solovyev and Nikolai Budarin to the station and recovered Increment astronaut Norman Thagard. Atlantis returned to Earth on 7 July with a crew of eight and it was the first of seven straight missions to Mir flown by Atlantis. For the five days the shuttle was docked to Mir they were the largest spacecraft in orbit at the time, the mission carried Spacelab and included a logistical resupply of Mir. Together the shuttle and station crews conducted various on-orbit joint US/Russian life science investigations with Spacelab along with the Shuttle Amateur Radio Experiment-II experiment. The primary objectives of this flight were to rendezvous and perform the first docking between the Space Shuttle and the Russian Space Station Mir on 29 June. In the first U. S. -Russian docking in twenty years, secondary objectives included filming with the IMAX camera and the Shuttle Amateur Radio Experiment-II experiment. STS-71 was the 100th U. S. human space launch conducted from Cape Canaveral, Space Shuttle-Russian Space Station docking and joint on-orbit operations, largest spacecraft ever in orbit, and the first on-orbit changeout of Shuttle crew. Docking occurred at 9 am EDT,29 June, using R-Bar or Earth radius vector approach, the manual phase of the docking began with Atlantis about a half-mile below Mir, with Gibson at the controls on aft flight deck. Stationkeeping was performed when the orbiter was about 75 metres from Mir, pending approval from Russian, Gibson maneuvered the orbiter to a point about 10 metres from Mir before beginning the final approach to station. Closing rate was close to the targeted 0.1 foot per second, interface contact was nearly flawless, less than 25 millimetres lateral misalignment and an angular misalignment of less than 0.5 degrees per axis. The John F. Kennedy Space Center is one of ten National Aeronautics and Space Administration field centers. Since December 1968, Kennedy Space Center has been NASAs primary launch center of human spaceflight, Launch operations for the Apollo and Space Shuttle programs were carried out from Kennedy Space Center Launch Complex 39 and managed by KSC. Located on the east coast of Florida, KSC is adjacent to Cape Canaveral Air Force Station, the management of the two entities work very closely together, share resources, and even own facilities on each others property. Additionally, the center manages launch of robotic and commercial missions, researches food production and In-Situ Resource Utilization for off Earth exploration. Since 2010, the center has worked to become a multi-user spaceport through industry partnerships, there are about 700 facilities grouped across the centers 144,000 acres. There is a Visitor Complex open to the public on site, the military had been performing launch operations since 1949 at what would become Cape Canaveral Air Force Station. In December 1959, the Department of Defense transferred 5,000 personnel, President John F. Kennedys 1961 goal of a manned lunar landing before 1970 required an expansion of launch operations. On July 1,1962, the Launch Operations Directorate was separated from MSFC to become the Launch Operations Center, the decision was made to build a new LOC site located adjacent to Cape Canaveral on Merritt Island. 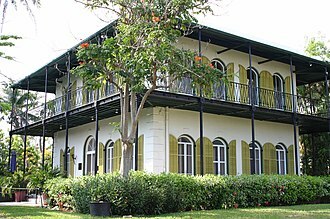 NASA began land acquisition in 1962, buying title to 131 square miles, the major buildings in KSCs Industrial Area were designed by architect Charles Luckman. Construction began in November 1962, and Kennedy visited the site twice in 1962, on November 29,1963, the facility was given its current name by President Lyndon B. Johnson under Executive Order 11129. 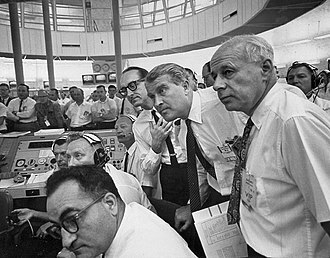 Johnsons order joined both the civilian LOC and the military Cape Canaveral station under the designation John F. Kennedy Space Center, spawning some confusion joining the two in the public mind. 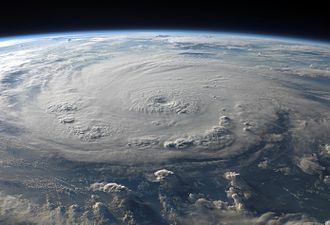 Located on Merritt Island, the center is north-northwest of Cape Canaveral on the Atlantic Ocean and it is 34 miles long and roughly six miles wide, covering 219 square miles. Space Shuttle Endeavour is a retired orbiter from NASAs Space Shuttle program and the fifth and final operational shuttle built. It embarked on its first mission, STS-49, in May 1992 and its 25th and final mission, STS-134, STS-134 was expected to be the final mission of the Space Shuttle program, but with the authorization of STS-135, Atlantis became the last shuttle to fly. The United States Congress authorized the construction of Endeavour in 1987 to replace Challenger, structural spares built during the construction of Discovery and Atlantis were used in its assembly. NASA chose, on cost grounds, to build Endeavour from spares rather than refitting Enterprise or accepting a Rockwell International proposal to build two shuttles for the price of one. The orbiter is named after the British HMS Endeavour, the ship which took Captain James Cook on his first voyage of discovery and this is why the name is spelled in the British English manner, rather than the American English. 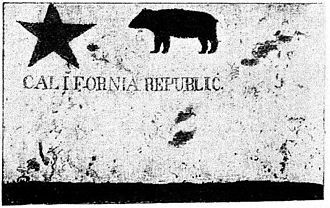 This has caused confusion, including when NASA itself misspelled a sign on the pad in 2007. 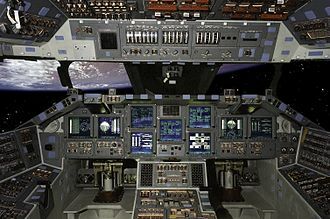 The Space Shuttle carried a piece of the wood from Cook’s ship inside the cockpit. The name honored Endeavour, the Command Module of Apollo 15, Endeavour was named through a national competition involving students in elementary and secondary schools. 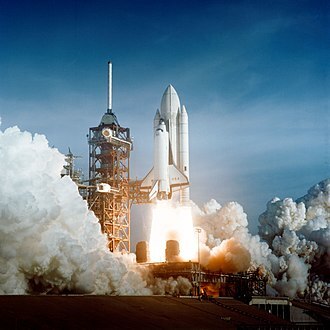 Entries included an essay about the name, the story behind it and why it was appropriate for a NASA shuttle, Endeavour was the most popular entry, accounting for almost one-third of the state-level winners. The national winners were Senatobia Middle School in Senatobia, Mississippi, in the division and Tallulah Falls School in Tallulah Falls, Georgia. They were honored at ceremonies in Washington, D. C. including a White House ceremony where then-President George H. W. Bush presented awards to each school. Endeavour was delivered by Rockwell International Space Transportation Systems Division in May 1991 and first launched a year later, in May 1992, Rockwell International claimed that it had made no profit on Space Shuttle Endeavour, despite construction costing US$2.2 billion. Edwards Air Force Base is a United States Air Force installation in southern California, located approximately 22 miles northeast of Lancaster and 15 miles east of Rosamond. It operates the U. S. Air Force Test Pilot School and is home to NASAs Armstrong Flight Research Center, previously known as Muroc Air Force Base, Edwards AFB is named in honor of Captain Glen Edwards. 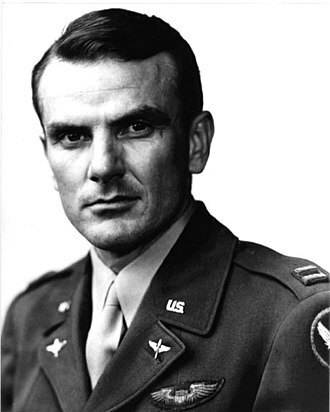 Edwards became a test pilot in 1943 and spent much of his time at Muroc Army Air Field, on Californias high desert and he died in the crash of a Northrop YB-49 flying wing near Muroc AFB on 5 June 1948. The base is next to Rogers Dry Lake, an endorheic salt pan whose hard dry lake surface provides a natural extension to Edwards runways. This large landing area, combined with excellent year-round weather, makes the good for flight testing. The lake is a National Historic Landmark, the base has played a significant role in the development of virtually every aircraft to enter the Air Force inventory since World War II. Almost every United States military aircraft since the 1950s has been at least partially tested at Edwards, the Wing oversees the base’s day-to-day operations and provides support for military, federal civilian, and contract personnel assigned to Edwards AFB. 412th Operations Group. There are eight flight test squadrons under the 412th Operations Group with as many as 20 aircraft assigned to each, the 412 OS flies an average of 90 aircraft with upwards of 30 different aircraft designs. It performs more than 7,400 missions on an annual basis and they provide the tools and equipment for the core disciplines of aircraft structures, propulsion and electronic warfare evaluation of the latest weapon system technologies. The Project and Resource Management Divisions provide the foundation for the program management of test missions. 412th Civil Engineer Division 412th Maintenance Group 412th Medical Group 412th Mission Support Group U. S, the comprehensive curriculum of Test Pilot School is fundamental to the success of flight test and evaluation. There are a vast array of organizations at Edwards that do not fall under the 412th Test Wing and these units do everything from providing an on-base grocery store to testing state-of-the-art rockets. The 31st Test and Evaluation Squadron provides Air Combat Command personnel to support combined test, established in 1917, it is one of the oldest units of the United States Air Force. The mission featured two spacewalks, the first since 1985. Resumption of the countdown after the T-9 minute hold was delayed about 4 minutes 45 seconds because of two possible weather-condition violations of the launch commit criteria, both conditions were found acceptable and the launch countdown proceeded to a satisfactory launch to an inclination of 28.45 degrees. The primary payload, the Gamma Ray Observatory, was deployed on flight day 3, gROs high-gain antenna failed to deploy on command, it was finally freed and manually deployed by Ross and Apt during an unscheduled contingency space walk, the first since April 1985. GRO science instruments were Burst and Transient Source Experiment, Imaging Compton Telescope, Energetic Gamma Ray Experiment Telescope, GRO was the second of NASAs four Great Observatories. The Hubble Space Telescope, deployed during Mission STS-31 in April 1990, was the first, GRO was launched on a two-year mission to search for the high-energy celestial gamma ray emissions, which cannot penetrate Earths atmosphere. At about 35,000 pounds, GRO was the heaviest satellite to be deployed into orbit from the Shuttle. It was designed to be the first satellite that could be refueled in orbit by Shuttle crews. The first U. S. extravehicular activity or spacewalk since 1985 was performed by Mission Specialists Jerry L. Ross and Apt were prepared for such a contingency, and Ross freed the antenna boom within 17 minutes after beginning the spacewalk. It was the first unscheduled contingency EVA since STS-51-D in April 1985, deployment occurred about 18,35 EST, approximately 4 1⁄2 hours after it was scheduled. The following day, on 8 April 1991, Ross and Apt made the first scheduled EVA since Mission STS-61-B in November 1985, the spacewalk was to test methods of moving crew members and equipment around the future Space Station Freedom. One of the experiments was to evaluate manual and electrical power methods of moving carts around the outside of large structures in space, although all three methods worked, the astronauts reported that propelling the cart manually or hand-over-hand worked best. STS-132 was a NASA Space Shuttle mission, during which Space Shuttle Atlantis docked with the International Space Station on 16 May 2010. STS-132 was launched from the Kennedy Space Center on 14 May 2010, the primary payload was the Russian Rassvet Mini-Research Module, along with an Integrated Cargo Carrier-Vertical Light Deployable. Atlantis landed at the Kennedy Space Center on 26 May 2010, STS-132 was initially scheduled to be the final flight of Atlantis, provided that the STS-335/STS-135 Launch On Need rescue mission would not be needed. 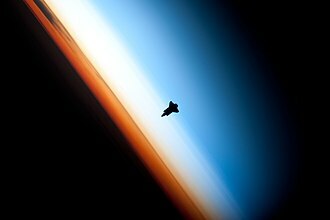 However, in February 2011, NASA declared that the mission of Atlantis and of the Space Shuttle program, STS-135. STS-132 carried the Russian Rassvet Mini-Research Module 1 to the International Space Station, the module was built by Russian aerospace company Energia. Rassvet arrived at the Kennedy Space Center aboard an Antonov 124 cargo plane on 17 December 2009 at about 13,00 EST, after it was unloaded from the Antonov, the module was transported to an Astrotech processing bay in Cape Canaveral to undergo preparations for launch. Russian and US cargo to be delivered will be accommodated inside the module, the volume for cargo and science inside MRM1 is 5 cubic meters. Rassvet was outfitted with ISS standard grapple fixtures that allowed the module to be unloaded from the bay of Atlantis using the stations robotic arm. The six new batteries replaced older ones on the P6 truss of the ISS, the old batteries were placed on the ICC-VLD pallet for return to Earth. The EOTP was built by MacDonald and Associates Ltd. of Brampton, Canada, the ICC pallet is constructed of aluminum. It is approximately 8 feet long,13 feet wide and 10 inches thick, the empty weight of the pallet is 2,645 pounds. The total weight of ICC–VLD and the ORUs is approximately 8,330 pounds, ICC-VLD return mass is 2,933 kilograms. The ICC-VLD was berthed in the center of the payload bay for both launch and reentry. A compact disk containing the digital copies of all submitted to NASAs Space Shuttle Program Commemorative Patch Contest was flown aboard Atlantis. President Dwight D. Eisenhower established NASA in 1958 with a distinctly civilian orientation encouraging peaceful applications in space science. The National Aeronautics and Space Act was passed on July 29,1958, disestablishing NASAs predecessor, the new agency became operational on October 1,1958. Since that time, most US space exploration efforts have led by NASA, including the Apollo Moon landing missions, the Skylab space station. Currently, NASA is supporting the International Space Station and is overseeing the development of the Orion Multi-Purpose Crew Vehicle, the agency is responsible for the Launch Services Program which provides oversight of launch operations and countdown management for unmanned NASA launches. NASA shares data with various national and international such as from the Greenhouse Gases Observing Satellite. 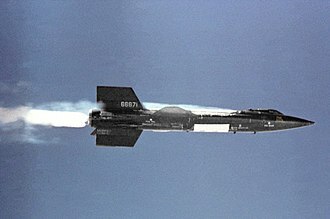 Since 2011, NASA has been criticized for low cost efficiency, from 1946, the National Advisory Committee for Aeronautics had been experimenting with rocket planes such as the supersonic Bell X-1. In the early 1950s, there was challenge to launch a satellite for the International Geophysical Year. An effort for this was the American Project Vanguard, after the Soviet launch of the worlds first artificial satellite on October 4,1957, the attention of the United States turned toward its own fledgling space efforts. This led to an agreement that a new federal agency based on NACA was needed to conduct all non-military activity in space. The Advanced Research Projects Agency was created in February 1958 to develop technology for military application. On July 29,1958, Eisenhower signed the National Aeronautics and Space Act, a NASA seal was approved by President Eisenhower in 1959. Elements of the Army Ballistic Missile Agency and the United States Naval Research Laboratory were incorporated into NASA, earlier research efforts within the US Air Force and many of ARPAs early space programs were transferred to NASA. In December 1958, NASA gained control of the Jet Propulsion Laboratory, NASA has conducted many manned and unmanned spaceflight programs throughout its history. A space station is distinguished from other spacecraft used for human spaceflight by lack of major propulsion or landing systems. Instead, other vehicles transport people and cargo to and from the station, as of September 2016 three space stations are in orbit, the International Space Station, which is permanently manned, Chinas Tiangong-1 and Tiangong-2. Previous stations include the Almaz and Salyut series, each crew member stays aboard the station for weeks or months, but rarely more than a year. Since the ill-fated flight of Soyuz 11 to Salyut 1, all manned spaceflight duration records have been set aboard space stations, the duration record for a single spaceflight is 437.7 days, set by Valeriy Polyakov aboard Mir from 1994 to 1995. As of 2016, four cosmonauts have completed single missions of over a year, Space stations have been used for both military and civilian purposes. The last military-use space station was Salyut 5, which was used by the Almaz program of the Soviet Union in 1976 and 1977, Space stations have been envisaged since at least as early as 1869 when Edward Everett Hale wrote The Brick Moon. 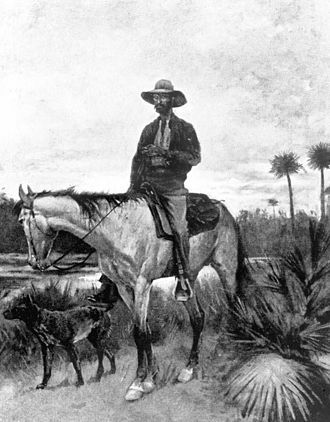 The first to give consideration to space stations were Konstantin Tsiolkovsky in the early 20th century. In 1929 Herman Potočniks The Problem of Space Travel was published, during the Second World War, German scientists researched the theoretical concept of an orbital weapon based on a space station. During the same time as von Braun pursued Potočniks ideas, the Soviet design bureaus – chiefly Vladimir Chelomeys OKB-52 – were pursuing Tsiolkovskys ideas for space stations, the work by OKB-52 would lead to the Almaz programme and to the first space station, Salyut 1. The developed hardware laid the ground for the Salyut and Mir space stations, the first space station was Salyut 1, which was launched by the Soviet Union on April 19,1971. Like all the space stations, it was monolithic, intended to be constructed and launched in one piece. As such, monolithic stations generally contained all their supplies and experimental equipment when launched, and were considered expended, and abandoned, the earlier Soviet stations were all designated Salyut, but among these there were two distinct types and military. STS-104 was a Space Shuttle mission to the International Space Station flown by Space Shuttle Atlantis. Its primary objectives were to install the Quest Joint Airlock and help perform maintenance on the International Space Station and it was successful and returned to Earth without incident, after a successful docking, equipment installation and three spacewalks. The primary purpose of the flight was to deliver and install the Quest airlock, the Joint Airlock is a pressurized flight element consisting of two cylindrical chambers attached end-to-end by a connecting bulkhead and hatch. In addition, the Joint Airlock is designed to support the Russian Orlan spacesuit for EVA activity, the Joint Airlock is 20 ft long,13 ft in diameter and weighs 6.5 short tons. It was built at the Marshall Space Flight Center by the Space Station Prime Contractor Boeing, the ISS-airlock has two main components, a crew airlock and an equipment airlock for storing EVA gear and EVA preflight preps. STS-104 carries a spacelab pallet with four High Pressure Gas Assembly containers that were attached to the exterior of the airlock, mission Specialists Michael Gernhardt and James Reilly conducted three space walks while Space Shuttle Atlantis was docked to the International Space Station. STS-51-J was the 21st NASA Space Shuttle mission and the first flight of Space Shuttle Atlantis. It launched from Kennedy Space Center, Florida, on 3 October 1985, carrying a payload for the U. S. Department of Defense, and landed at Edwards Air Force Base, California, on 7 October. Before William Pailes was assigned to the STS-51-J flight, Richard M. Mullane was rumored to have been assigned as Mission Specialist 3 on his trip to space. STS-51-J launched on 3 October 1985, at 11,15 EDT, the launch was delayed by 22 minutes and 30 seconds due to a problem with a main engine liquid hydrogen prevalve close remote power controller, the controller was showing a faulty on indication. The mission was the shuttle flight totally dedicated to deploying a Department of Defense payload. Its cargo was classified, but it was reported that two DSCS-III satellites were launched into orbits by an Inertial Upper Stage. The DSCS satellites used X-band frequencies, each DSCS-III satellite had a design life of ten years, although several of the DSCS satellites have far exceeded their design life expectancy. Illustration of the ISS after STS-122, highlighting the addition of the Columbus laboratory module. Liftoff of the first flight of Atlantis and the STS 51-J mission. Declassified picture showing the DSCS-III satellites before deployment. Space Shuttle Atlantis lands on the dry desert lakebed of Edwards Air Force Base at the end of the STS-51-J mission. Stephen Colbert, host of The Colbert Report, salutes the crew during their appearance for a taping of his television show. The crew presents President Obama with a NASA flight jacket from the final mission. Time exposure of Mir passing over Earth's surface, May 1997. Shuttle launch profiles. From left to right: Columbia, Challenger, Discovery, Atlantis, and Endeavour. 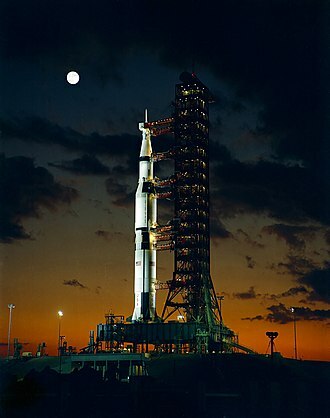 A Saturn V carrying Apollo 15 rolls out to Pad 39A in 1971 on Mobile Launch Platform 1. Shuttle Atlantis is moved to Pad 39A for the 1990 launch of STS-36. The Space Shuttle Atlantis (STS-129) is seen on launch pad 39A at the NASA Kennedy Space Center shortly after the rotating service structure was rolled back on Nov. 15, 2009. Space Shuttle Endeavour docked to the ISS during STS-134, as seen from the departing Soyuz TMA-20 on May 23, 2011. Mission poster, based on a Star Trek promotional poster. The crew arrive at the Shuttle Landing Facility in T-38 jets on 26 April 2011. R/V Atlantis, the first research vessel operated by the Woods Hole Oceanographic Institution. This satellite image, looking toward the west, shows the Antelope Valley area in relation to Los Angeles with the San Gabriel Mountains separating them. Central Palmdale looking north along 10th Street West toward Rancho Vista Blvd. Looking south from the hills near Tierra Subida Avenue, January snow can be seen at the higher elevations. An aerial view of the new control tower with the old tower in the background. Taken by Hinode's Solar Optical Telescope on 12 January 2007, this image of the Sun reveals the filamentary nature of the plasma connecting regions of different magnetic polarity. In this false-color ultraviolet image, the Sun shows a C3-class solar flare (white area on upper left), a solar tsunami (wave-like structure, upper right) and multiple filaments of plasma following a magnetic field, rising from the stellar surface. 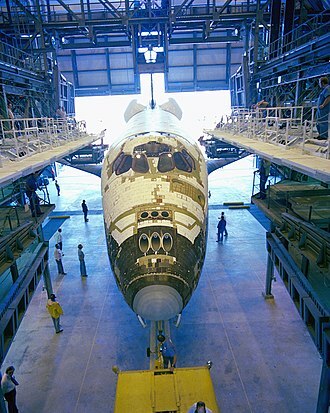 Columbia preparing for launch for STS-109 to repair the Hubble Space telescope. This was the final successful mission of Columbia before STS-107. Columbia in the Orbiter Processing Facility after delivery to Kennedy Space Center in 1979. About 8 thousand of 30,000 tiles still had to be installed. Columbia launching during STS-1. Its distinctive black chines and "USA" painted on the starboard wing are visible. Columbia was the only orbiter launched with its external tank painted white, which was later discontinued to save weight. Columbia landing at Edwards Air Force Base following STS-28. Construction of the ACCESS structure. Deployment of the Satcom K2 satellite. Night launch of Atlantis at the beginning of the STS-61-B mission. 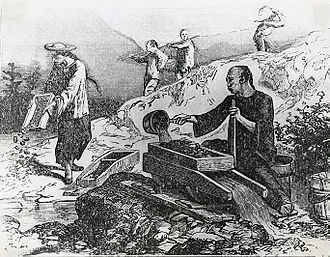 Construction of the EASE structure. Closeup of the Magellan/IUS stack. 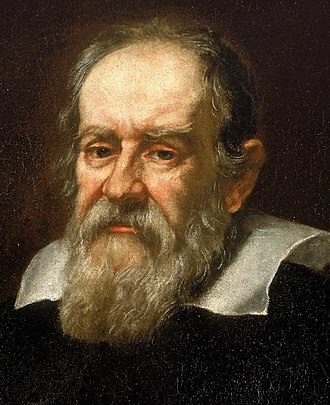 Galileo being deployed from Atlantis. Launch of Atlantis on STS-37. Atlantis docked to Mir on 29 June 1995. Atlantis lands at the Kennedy Space Center at the end of STS-71. Atlantis heads into space while a pair of F-15E Strike Eagle jets patrolled the skies over Kennedy Space Center. Space Shuttle Atlantis launches from Kennedy Space Center, 14 May 2010. A Crawler-Transporter ferrying Space Shuttle Atlantis to launch pad 39-A for the STS-98 mission. STS-98 crewmembers pose for the traditional inflight portrait on the flight deck of the Space Shuttle Atlantis. Launch of Space Shuttle Atlantis on STS-104 mission.